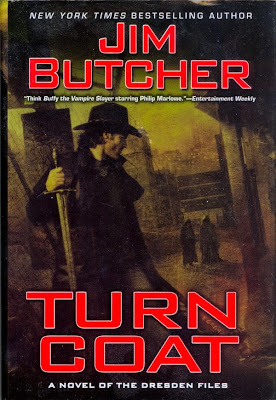 We continue our readthrough of Jim Butcher's uber-popular urban fantasy series The Dresden Files today with book eleven, Turn Coat. The continuing plan is to do a book a month on the first Tuesday of each month, and with 16 books on the publication schedule between now and when our readthrough is over, our reading list should be pretty full for the foreseeable future. With book eleven, I feel like I'm sort of mired in the same midpoint I was with The Wheel of Time toward the middle, where not a ton is happening and it's getting frustrating. It's not to say it's outright bad like some of the middle Wheel of Time stuff, but I hesitate to call this book in particular good. We're knee deep in the White Council conspiracy, there's some sort of supernatural being they're calling a "skinwalker" that's doing a good deal of damage, we're still mentoring Molly, and Thomas is still wavering a bit because he's a vampire and that's what they do. That's essentially what's going on with Harry Dresden right now, and that's why this book is a little frustrating. After a great run of book after book of action and plot development and payoffs, I feel as if the story stalls out a bit here. It's not to say we have no movement, as there's a lot that goes on with the Council and Thomas and Molly, and the end of the book in particular is paced extremely fast, but the books have created a bit of an expectation of things happening and there wasn't much of a payoff for this one. This may be just a basic problem with multi-volume books in general. 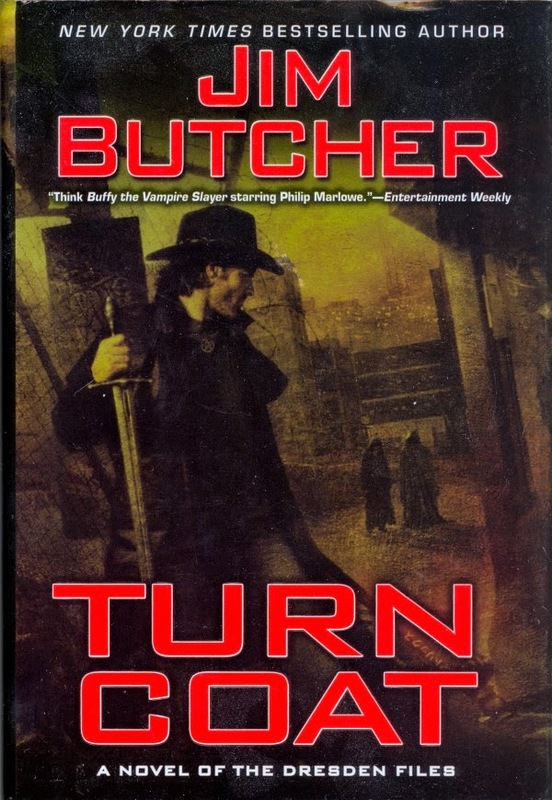 I don't doubt, by this point in publication, that Jim Butcher has some sort of endgame in mind - I've read one thing that claimed it would end at 20, and another that there's enough story ideas to bring it into the "lower 20s." It's just interesting to read these books where there is no apparent or necessary end in sight. What more, this book appears to be really well received in comparison to others, and I definitely had a different impression of it. Overall, I'm far from throwing in the towel on this series. It's still pretty high quality even if there have been missteps. I am hoping, however, for a more cohesive, more exciting read in the next one. We'll see. Great storyline and character development. Jim butcher is an incredible author! Having read all the Dresden books up to this one, I cannot wait to start the next one.